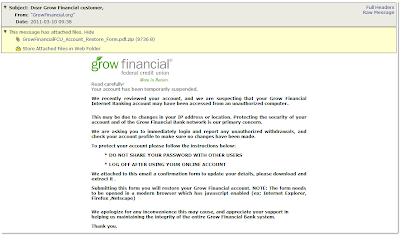 We recently reviewed your account, and we are suspecting that your Grow Financial Internet Banking account may have been accessed from an unauthorized computer.. This may be due to changes in your IP address or location. 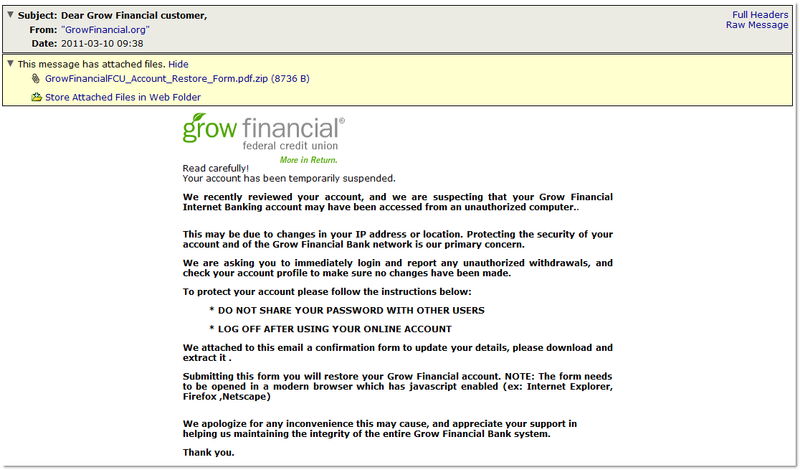 Protecting the security of your account and of the Grow Financial Bank network is our primary concern. We attached to this email a confirmation form to update your details, please download and extract it . We apologize for any inconvenience this may cause, and appreciate your support in helping us maintaining the integrity of the entire Grow Financial Bank system.